The Front Terminal Series is especially designed for telecommunication use with 10 years design life in float service. By combining the newly developed paste formula with up-to-date AGM structures, this range features 10 years design life and Front Access connection for fast, easy installation and maintenance. This series is highly suited for telecom applications, UPS systems and other back up applications. Specifically ideal for 19 inch or 23 inch power cabinets. Front terminals make the installation, maintenance and supervision easy. Shield designs protect terminals from short circuit and show good appearance. Thick plates, special formula of paste and plate making process for a long service life. A wide range of temperature operating range is suitable for different areas. 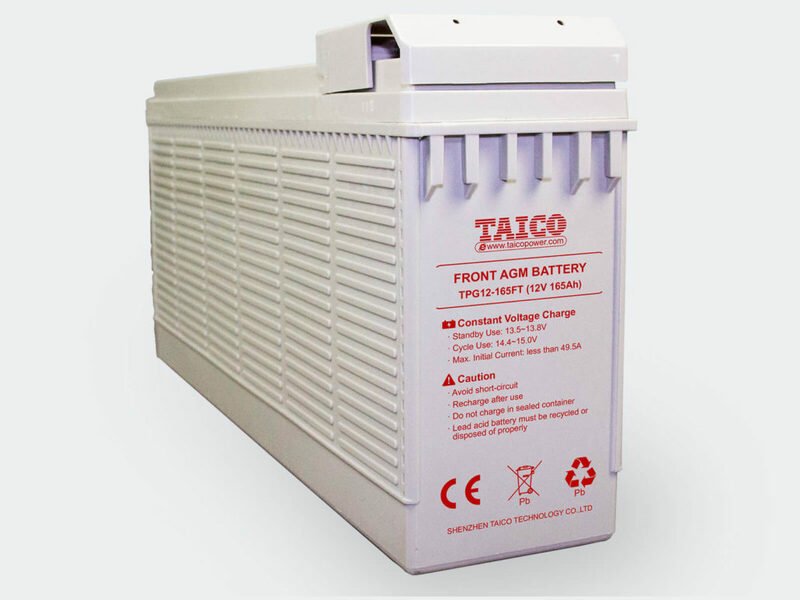 TP series batteries can be used in wide temperature range from -15°C to 50°C.